This glittering monument will take your breath away, beautifully decorated with tiny pieces of coloured glass and Chinese porcelain placed delicately into intricate patterns. A temple made of colourful decorated spires and it stands right next to the majestic Chao Phraya river – this is easily one of the most stunning temples in Bangkok. Locally this temple is known as Wat Chaeng, internationally as Wat Arun and commonly as The Temple of Dawn (from Aruna, the Hindu god of the dawn). This temple stands out - not only because it is one of the tallest temples in Bangkok (over 80 meters) or because of its riverside location, but rather because it’s so different from all the other temples in Thailand. “What’s the most beautiful temple in Bangkok?” was a question I asked many locals and not surprisingly at all, The Temple of Dawn won hands-down. The spire (prang) on the bank of the river is definitely one of Bangkok's world-famous and most beautiful landmarks. I climbed the central prang – never have I ever climbed steps that steep in my life (getting up is easy – getting down is the tricky part). Holding on the railing I looked down – wow – no picture can describe what you see or how steep it is. Balancing myself with the railing I finally got to the highest level and the view? Spectacular. Standing more than 70 meters from the ground, you can see the Grand Palace across the river and the Wat Pho Temple - a 180 degree view and the tourists on the ground look like ants. 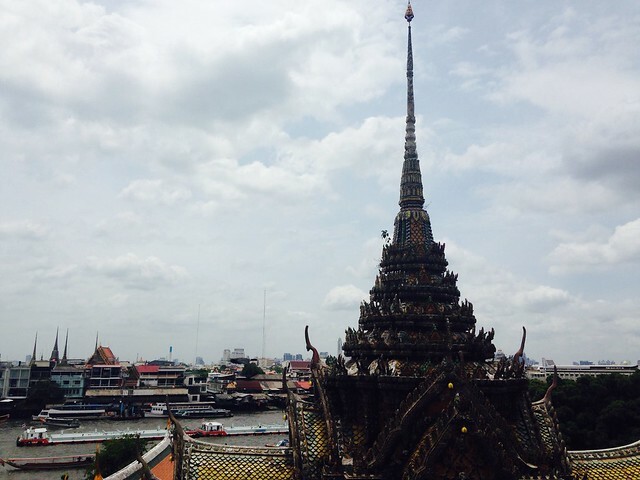 King Taksin envisioned Wat Arun in 1768. It is believed that after fighting his way out of Ayutthaya, which was taken over by a Burmese army at the time, he arrived at this temple just as dawn was breaking. He later had the temple renovated and renamed it Wat Chaeng, the Temple of the Dawn. It used to be the home of the Emerald Buddha, before the capital and Palace was moved to the other side of the river. This can now be seen at the Grand Palace. 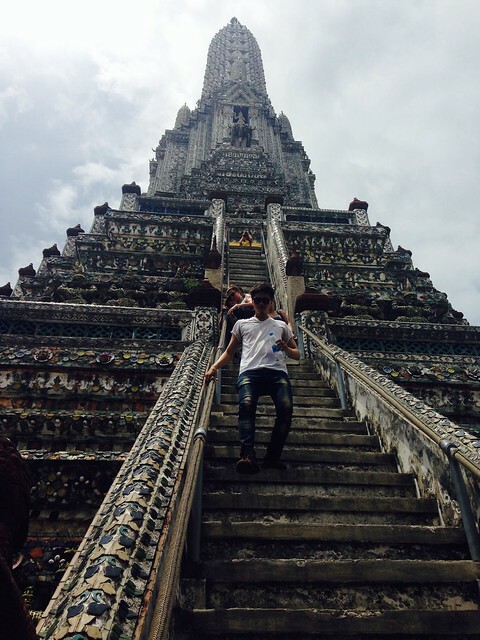 The Wat Arun or Temple of Dawn is located on Wat Arun Amarin Road on the West bank of the Chao Phraya river, opposite the Wat Pho temple and the Grand Palace. The best way to get there is by boat. Take a Chao Phraya express boat to Tha Tien pier at the Grand Palace on the East bank of the river. From there, cross the river with the Tha Tien express boat. 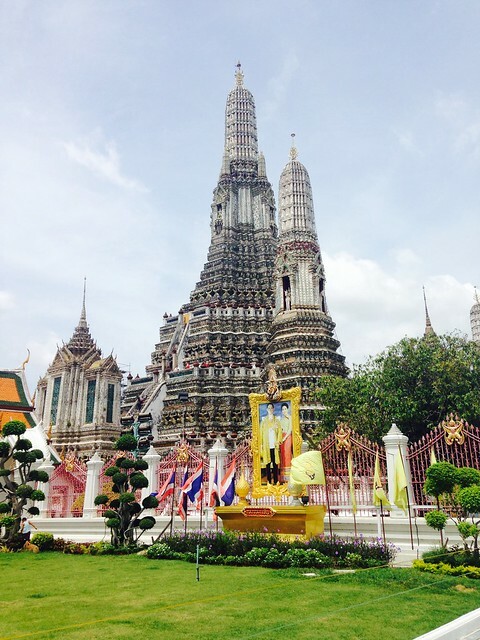 During the short ride you will have excellent views and photo opportunities of the huge Wat Arun prang. 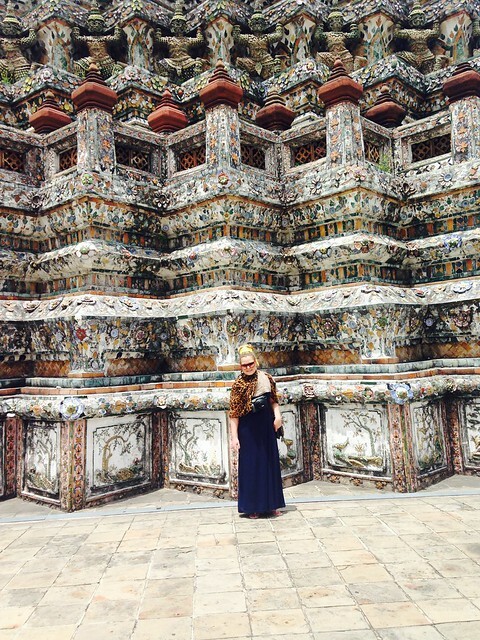 The Wat Arun is open daily from 8 am until 5:30 pm. Admission is 50 Baht per person. The Maldives - One of the world’s best holiday destinations?